This product is a Frame that goes on outdoor billboards to replace wooden and metal panels . 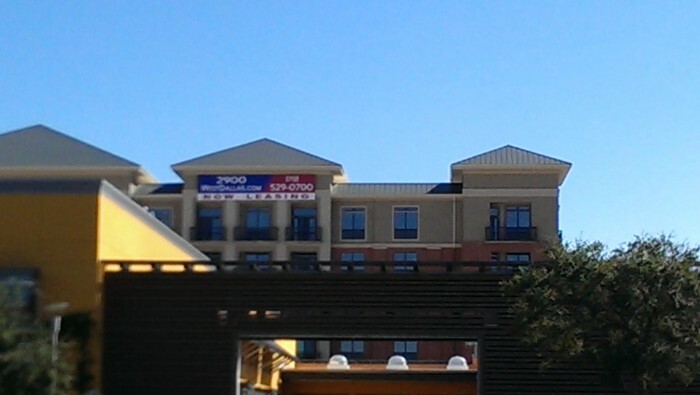 It is designed to have a vinyl (advertisement) wrapped around it, then when High winds hit the billboard it will blow out the vinyl leaving your billboard without any damage. This cuts down on the liability of the wood and metal panels falling on property below causing damage and injury. This frame is patented (#7,481,013) and is a proven product with over a 1,000 of them in use in many coastal states. It is good for 155MPH @ 80ft, much higher than any other frame made. This patent has 51 claims and has been tested in Houston, Texas where there was over 200 frames in use during Hurricane IKE (115 MPH winds) with not one loss. This frame is fully galv. (inside and out). This product is engineered with stamp for 155 MPH (wind speed). The frames have been up for over 6 yrs. without one failure or complaint. 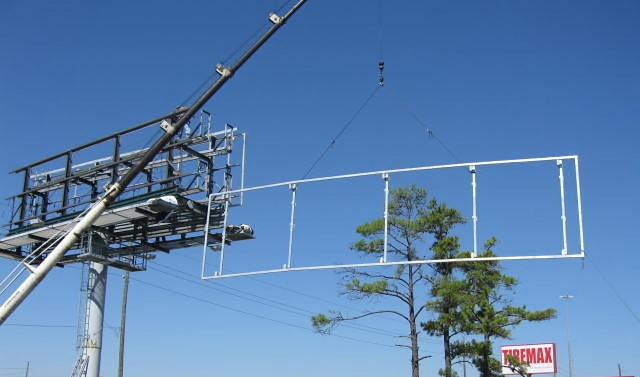 With this frame there is also a tie-down system which makes it possible to attach the vinyl without the use of Ratchet Straps (98% of all billboards use these straps). The price of the patent is negotiable depending on the situation and royalty involved. I will also help your sell the product. Trying to get ready to retire. Our company would like to have at least 50% down and the remainder to be paid out in 2 yrs. Interest and royalties would be paid during this time. There are over a 1,000 of these frames up without any go backs in the past 8 yrs. Only a small % of the US market has been touched and it has very good possibilities in the near future. The interior of the US has hardly been touch. 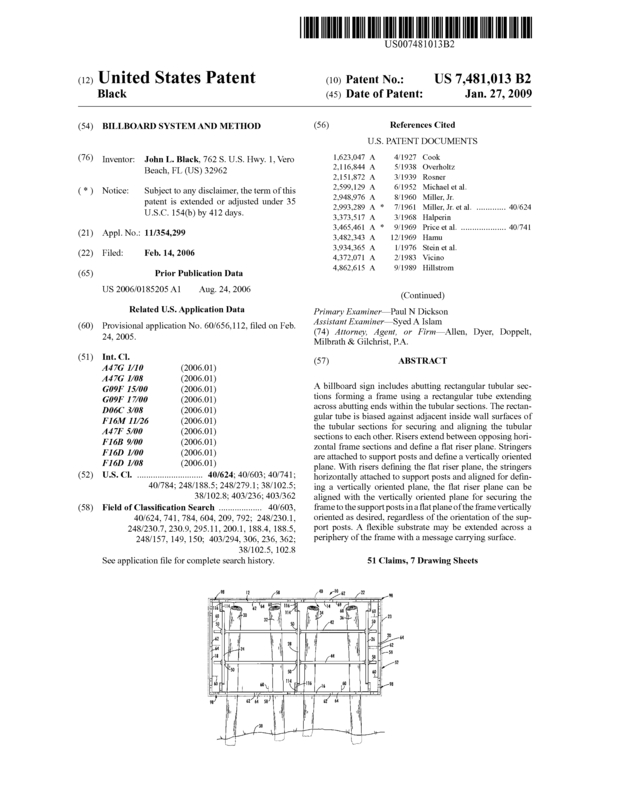 Page created at 2019-04-25 14:03:14, Patent Auction Time.